Most of us share one commonality: we want to be healthy. If you’re healthy and not suffering from a critical illness, then you’re lucky. However, sometimes we can’t always account for unfortunate circumstances. Most of us share one commonality: we want to be healthy. If you’re healthy and not suffering from a critical illness, then you’re lucky. However, sometimes we can’t always account for unfortunate circumstances. Having a severe disease such as cancer, suffering from a stroke, or experiencing a heart attack can lead to significant financial debt and high medical bills. With the common cold, you can let it run its course or take cough syrup for it, and you can expect your health to restore. 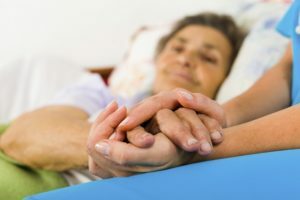 However, in the case of cancer, a stroke, or a heart attack, you may need to keep receiving some form of treatment such as chemotherapy or dialysis to preserve the quality of your life. Did you know not all standard healthcare plans can help with high medical bills that can ensue from dealing with a critical illness? Keep reading to discover if critical illness insurance might be right for you and your loved one. Critical Illness Insurance dates back to 1996. Healthcare insurance brokers made sure to implement this kind of health coverage to combat those living with a critical condition from having an overwhelming amount of high medical costs. Even with the best healthcare insurance, medical costs are expensive nonetheless. Without an emergency fund, high medical costs can strip the money allocated for preserving your life. Typically, people choose high-deductibles which can have its downsides. Critical Illness insurance covers what a standard healthcare plan cannot such as transportation and childcare. A large lump sum of money goes to the insurer. They can receive up to 100,000 depending on their policy. One, the plans don’t cost a lot of money especially if you decide to receive your coverage through your job. However, if you have several critical illnesses, your policy will be higher. Two, there is a chance that your illness may not be considered to be critical. The condition, as defined by most brokers, has to be debilitating. For example, while Diabetes is a disability to some, others may not see it this way. Disability Insurance is an option especially if your condition prohibits you from working. A flexible spending account (FSA) is also another option. Also, you can create your own savings account just in case. It’s never too early or late to think about the quality of your health.